Education plays a critical role in sustainable development. For individuals, access to education opportunities improves their employment prospects, develops more sustainable livelihoods, improves health outcomes, and empowers women. For communities, education enhances the promotion of local stability and resilience and helps to provide a diverse and skilled workforce. Our education-focused development activities help to elevate the profile and importance of a good education within project area communities. Through participation in the ITCS, we support the PNG Government in the development and maintenance of primary and secondary school facilities in host communities. In addition, we work directly with these communities to improve local education infrastructure through our Community Area Planning projects. We also help local teachers to keep teaching. A change to PNG legislation in 2011 meant some experienced teachers were unable to continue teaching without further training. Since then, we have supported teachers from host community schools to complete this training. We provide financial support to a selection of students wishing to complete a tertiary qualification in medicine, teaching, business, agriculture, plumbing and mechanics. Our sponsorship of their tuition, accommodation and travel makes a difference to many university students from communities close to our operations, who would otherwise not be able to complete their education. Recipients are nominated by host communities and we assess the applications to ensure they meet the entry requirements and that there is a balance of gender and village of origin. Our Graduate Development and Apprentice programmes also develop technical and vocational skills that can easily be transferred to other industries. These programmes not only provide us with access to the best future specialists in PNG, they make a key contribution to the country’s broader socio-economic development. 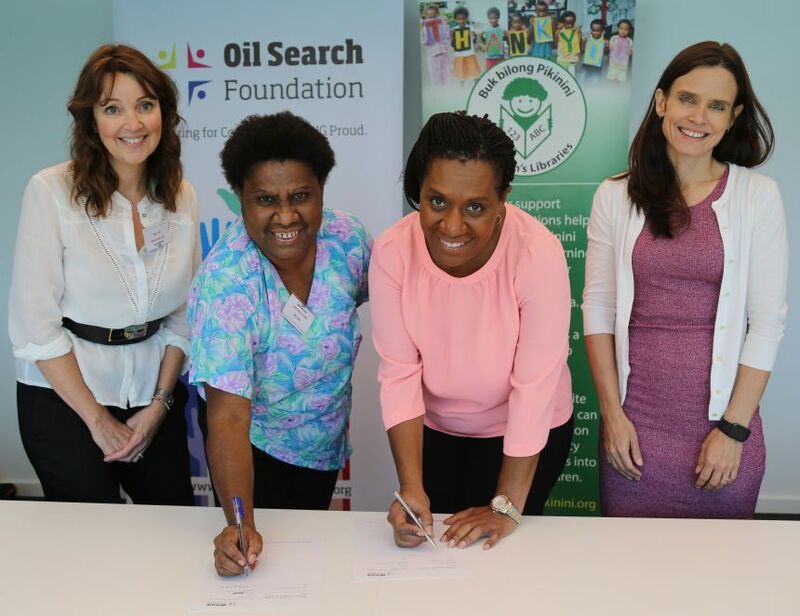 The Oil Search Foundation will increase the reach and impact of our education commitment year on year by overseeing the implementation of a programmes designed to address educational barriers. . This will include empowering women and children through literacy, building on work to date in literacy for early childhood, and developing transformational leaders for PNG, beginning with the health sector. Oil Search participates in job fairs and actively promotes training and job opportunities for prospective candidates, particularly candidates from the North Slope region and the community of Nuiqsut. Oil Search directly supports educational and training programmes, including the Alaska Science and Engineering Program and GeoFORCE Alaska, through the University of Alaska. Oil Search also actively supports the Arctic Education Foundation and engages with the Nuiqsut Trapper School within the North Slope Borough School District and Iḷisaġvik College, a Federally-recognised tribal college on Alaska’s North Slope.